- The reason, why I think Mindrot's music is unique really that you are mixing the amospheric doom genre with all those angry themes. This rare combination delivers this sick music and in my opinion you could also achieve the rank "one of the most gloomy metal bands ever". Were the 90'ies for you that bad really, or was it simply a concept to write the songs this way? How was your life as ~25 years old? First of all thank you for the kind words about our overall sound etc. I don’t know if we ever got the crown “Most gloomy Metal band ever”, but we did hear a lot of good/different opinions about our style, and it was quite often. Honestly the 90’s weren’t a horror story for me and the guys etc. I do feel that a lot of what we wrote was true to life from our many personal experiences that we had. We never did it for the simple concept of being labeled a certain way. Life at 25 was very interesting… that’s all I can say about that. - Whats are your favourite memories of the Mindrot era? My favorite memory of the Mindrot days was playing to a room or large group of fans who really understood what we were doing. - Dawning has several interludes coming from some kind of movie (? ), for eg. "its a secret feeling i never told anybody about". I read it on the internet, stating the source is an X-Files episode, but I could never find it. So, where are they coming from? It was from the movie “The Rapture” released in 1991. - You were signed to Relapse Records, which is a honour imo. 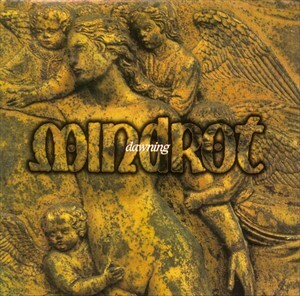 Despite this I have the feeling Mindrot is way more underrated/unknown than it should be... have you got any information how many albums you sold? What do you regret the most what you could not achieve with the band? Relapse records were a nice venture for us, and they really helped us get our sound out, and expose the masses. Especially early on when “Dawning” came out, and we had distribution through Nuclear Blast Records. 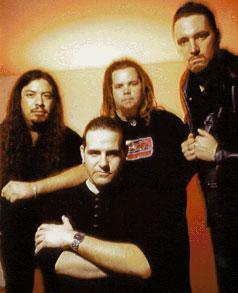 At the time Relapse and Nuclear Blast were the same company. Mindrot was very underrated… not sure on the figures with sales etc. However I know that the “Dawning” release did far better than “Soul”. My biggest regret was not getting to tour the US, and Europe. - Evan Kilbourne and John Flood left the band before Mindrot broke up. Were there any additional reasons? Could it have happened other way? Well actually Evan left Mindrot to play with “Save Ferris”. John and I were the second to leave due to a lot of instability within the band, and the fact that we didn’t want to start all over with another drummer. Evan was incredibly talented, and it would of taken way to much energy to fill his shoes. So we put Mindrot to rest. - Whats your relation with the members lately? I’m still in contact with everyone with the exception of Matt Fisher. We just don’t talk as much I do with all the other members. I was never invited to sing for Eyes of Fire (EOF). Also right after Mindrot broke up Matt and Dan started “Shiva”. Having difficulties with that particular band name they changed the name to “Eyes of Fire”. EOF is no longer together. I don’t know the details of the break up, but I will say that Dan felt disconnected with the direction the EOF sound was going in so he left the band. Dan has a new band called “Destroy Judas” very good stuff, and very heavy. - And what about Morgion? When and why did you join and why did you leave so quickly? I joined Morgion in late 2002 as a favor to put out a new CD, and to do a small tour possibly. We did end up touring in 2003 for the “Doomination of Europe” tour, and shortly after returning home we all felt that it would have been very difficult for me to do anymore touring etc. So rather me holding them back I left the band…I should have recorded the CD “Cloaked by Ages Crowned in Earth” but sadly that never happened. you are not involved to any band now. Don't you miss singing? Yes, I’m married and have 2 beautiful children…one boy and one girl. No they’re not Mindrot fans. They do get exposed to a lot of the music I listen too, but I can’t say they really like it. Yes I miss singing very much, and one day maybe it will happen again. We played many shows in Orange County, Los Angeles County, Northern California, and the San Diego area.. Never played anywhere else sadly, but it was a lot of shows. Most memorable would be playing with Bolt Thrower in 1991 I believe. Also the shows we did with Neurosis, Entombed, NY Nausea, and Dismember were quite memorable. I do not remember where this show was we played on the link... I know the song is Forlorn! - Were your last show in beginning of 1998 attended by only ~30 people really? - Lot of bands are having a short reunion tour lately. Have you ever thought about it? Yes, we almost got together last year to do some reunion shows. However the end result was we couldn’t agree on a set list, and there was still some animosity between Dan and Matt. Will it ever happen? Honestly John and I were the ones who tried to get this to work… but sadly we hit a brick wall. Maybe one day. However I’m leaving California very soon, and moving to Washington State so I don’t foresee any reunions in the future. It’s always been that way for Mindrot… the curse continues. - Have you got anything more to share with us and I did not ask?